Sure, you can get ready for the holidays with store-bought decorations, but there is nothing like the bragging rights that come with making your own. 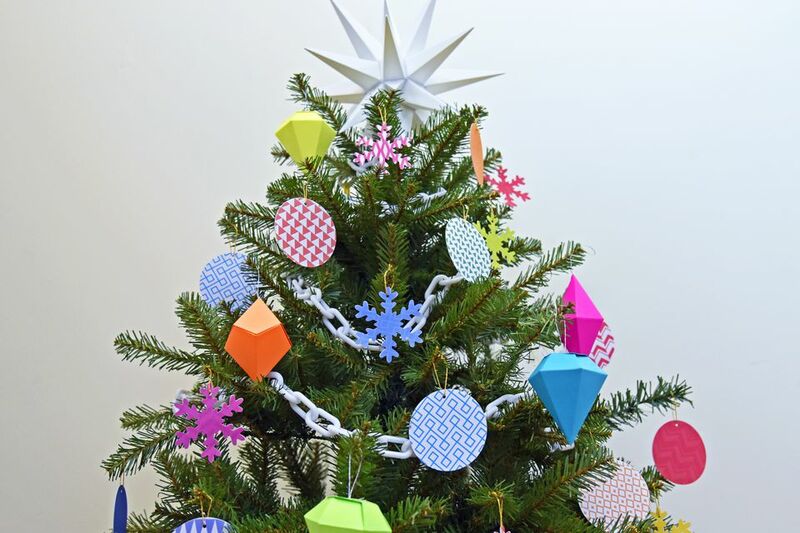 These colorful and double-sided paper ornaments are a family friendly project that takes minutes to create using scrapbook paper. If you are not familiar with scrapbook paper, it is a reasonably inexpensive material that can spice up your Christmas décor with pretty patterns and festive colors. Here is how to get crafting. Scrapbook paper in a variety of vibrant patterns that will stand out against your Christmas tree. FYI, an 8.5-inch by 8.5-inch pad containing 36 sheets typically costs less than $8. Lever craft punches in any shapes and sizes you please — We used large 3-inch punches in both round and snowflake shapes. Hand punch for making a small 1.5 mm hole in each ornament. Spool of crochet thread or bead stringing cord for hanging decorations. Using a lever punch, cut your scrapbook paper into shapes. You will need a set of two matching cutouts for each double-sided decoration. Tip: So that you know, there are two different ways to cut paper with a lever craft punch. The most common method is to use the punch with the top side facing up as shown on the left. The second way to cut shapes with a lever punch is our favorite. To do, turn the cutting tool upside down so you can see the scrapbook paper through the punch opening as shown. Being able to see the paper will allow you to cut out shapes closer together reducing material waste. It also makes it easier to punch out a specific section of a pattern. Grab a matching set of shapes and your glue stick. 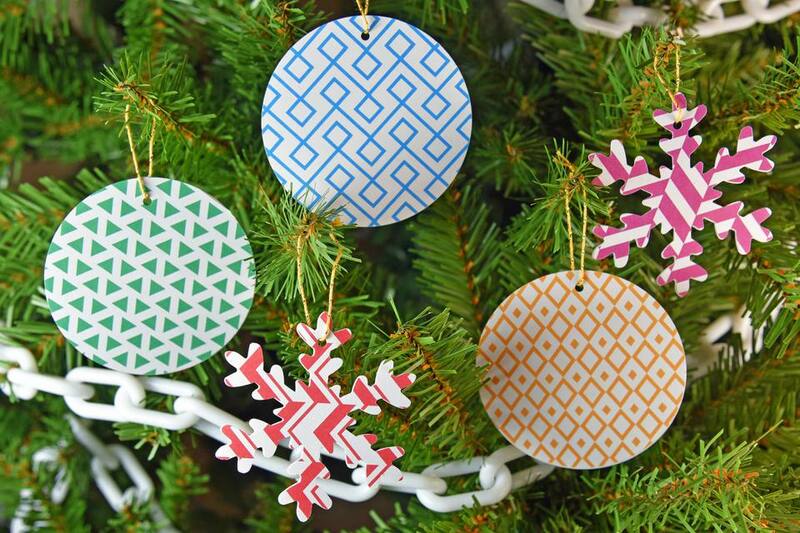 To create double-sided ornaments you will need to glue the two shapes together. To do, apply a thin coat of glue to the back of one of the cutouts. For the best results, spread the paste near the edges of the paper to prevent curling later. Next, quickly apply a thin coat of glue to the back of the second shape. Now press the glued sides together making sure the edges are lined up. Afterward, place your new ornament in a thick book for a few minutes to flatten. Using your hand punch make a small hole at the top of the ornament. Cut a 10-inch piece of crochet thread or bead stringing cord. Slip the cord through the opening and knot as shown. The last step: Hang your new creations!